Finding the perfect space for your self-storage needs is simple and affordable with StorQuest in Aurora, CO. Our location in the Center Pointe area is convenient to Buckley Air Force Base and surrounding neighborhoods including Seven Hills, Sterling Hills, and Aspen Ridge. 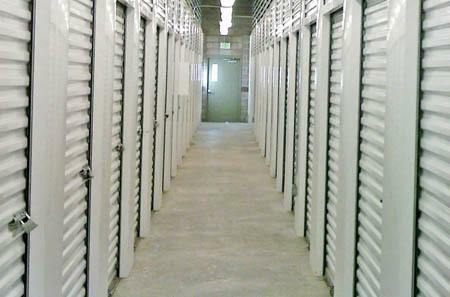 We offer small, medium, and large storage lockers ranging in size from 5X10 (50 sq. ft.) to 10X20 (200 sq. ft.). Units come equipped with roll-up doors and drive-up access. Whether you’re looking to relocate the contents of your home or keep a second garage for your collectibles, StorQuest Self Storage in Aurora has a variety of storage lockers to suit your needs. Our friendly on-site staff is here to help you select a unit, purchase packing supplies, and schedule your truck and driver at move-in. Finding the space you need at an affordable price has never been easier than at StorQuest Self Storage. Contact our leasing office for more information on month-to-month rentals and discounts for military, students, and seniors.